We always enjoy hearing from master practitioners of The Birkman Method and recently, we had the pleasure of speaking with executive coach and author Robert De Filippis. With over four decades of experience consulting across multiple industries, we asked Robert to share some trade secrets on effective coaching from his latest book, On Coaching with The Birkman Method, to drive coaching and business success using Birkman. Q: What is the first step in becoming an effective coach? The professional Birkman practitioner can and should use Birkman, in Dr. Birkman’s terms, to “get a proper perspective on their own perceptions” before attempting to assist their clients to do the same. Q: The Birkman Method is a psychometric testing system. Why use any psychometrics in coaching at all? A: Ninety five percent of our decision processing happens below our level of awareness. The other five percent is conscious and is only called on when there’s a conflict in our subconscious decision making. Properly designed, psychometrics help us become conscious of our unconscious decision processes. 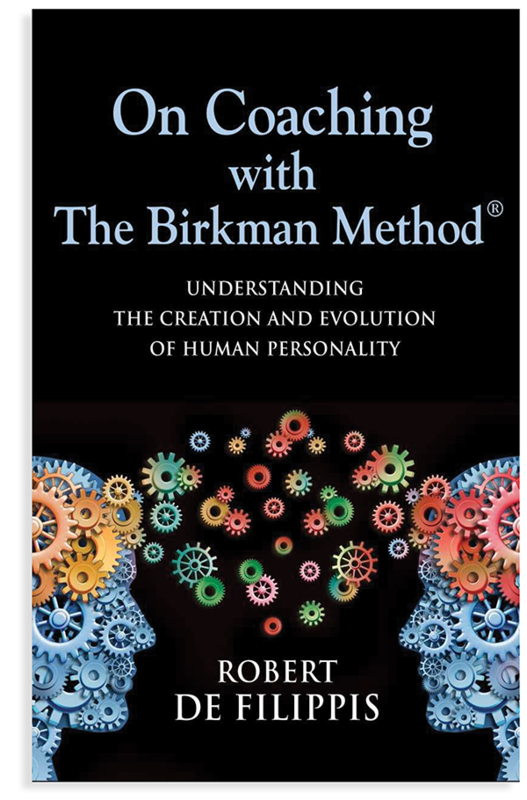 Birkman focuses explicitly on personality traits and not personality types. This distinction is essential because personality types are being dismissed in modern psychological research as too reductive. They're sometimes used to help crystallize people's understanding of themselves but leave out too much vital information for the professional coach. Q: Is identifying well-defined personality traits enough information for good coaching? A: No, not entirely. A key person in personality psychology was psychologist Kurt Lewin, who offered the observation that human behavior is a function of the interaction of Personality and Environment. While his formula gives us a basic understanding of human behavior, it leaves out the variables at work internal to the person doing the behaving. As coaches, we need to know so much more about these internal variables if we are to offer maximum value to our clients. To that end, we need to understand that personality is a function of how the Authentic Self and the Public Self interact in various Environments. Of course, this begs the question, "What is the Authentic Self and how does it function?" Which brings us to needs and temperament, and then expectations, genetics, and our central nervous system. Here’s the bottom line for the coach: Human behavior is not a simple stimulus-response process. It’s an emergent property—the observable action—resulting from an unobservable, subconscious set of variables interacting in complex biological organisms—human beings. Q: Are there any hidden coaching variables that a Birkman coach should be aware of? 1. Explore how the authentic self is shaped by Needs. 2. Accept that temperament is resilient and won’t change because it’s conserved in our personal genes and structured into our central nervous system. 3. Understand that Needs are shaped by our expectations from innocent childhood interpretations of our experiences when we barely had the cognitive competence to do so. 4. Explore how our public self is shaped by the linguistic interpretations we learn from our native cultures. 5. Understand how our perceptions are limited by what we already know that was given to us by the culture of our childhood. 6. Understand that our language is molded and shaped by our past experiences and becomes the cognitive maps–sometimes “illusory, irrational, or unreal”–we use to navigate our worlds. 7. Recognize how our cognitive maps contain our scripts and rules of engagement. 8. Examine the history of our cultural, familial, and personal experiences and how they shape our behavioral patterns as we keep re-applying what worked in the past—and may not be working any longer. 9. Finally, look for the behavioral patterns formed by personality traits and how those traits are made up of many characteristics defined and explained by the nine Birkman components. 10. Learn how to offer the use of “your observer” to your client. As a qualified Birkman Method practitioner you know that Usual Behaviors (UBs) and Stress Behaviors (SBs) hinge on the client’s needs being satisfied. You also know Needs are not observable or known without reflection and inquiry. The above steps will help you uncover the subconscious scripts and rules hidden in Needs and examine the calculus that creates them in their decision processes (95 percent of which is subconscious). A simple way of saying this is you will discover how and why you and your clients’ cognitive maps often take you and them to the wrong places. Therefore, the role of the coach is to create awareness of the unconscious processes and the potential for “illusory, irrational, or unreal,” interpretations of facts that might be shaping the client’s ineffective behavior. The effective coach should act as another observer of the clients’ circumstances and assist them to stop, reflect and inquire into their own choices. French novelist, Marcel Proust, gave us what should be the objective of every coach, “The real voyage of discovery consists not in seeking new lands but seeing with new eyes.” It’s our job to help our clients observe their familiar landscapes with new perspectives. Roger Birkman was my father, so I know for a fact how very proud he was of Robert DeFilippis’ 2003 book (You, Yourself and the 21st Century) that featured The Birkman Method for coaching. Call me biased, but I’m delighted to say that Dr. DeFilippis, with this updated version has a brilliant new title and a beautiful, bright dust jacket. More importantly, it offers a rich overview of coaching history that includes the studies of linguistics and psychology along with specific applications to showcase the many ways he applies Birkman in his coaching. I especially appreciated the “Case in Point” stories peppered throughout the book to help us understand. And finally, I am grateful for the overarching philosophical references to my father and why the Birkman Method’s respect for social comprehension so desperately matters. Thank you, Bob. We who are students of coaching deeply appreciate the insights you share in this new edition that’s so densely packed with a lifetime of coaching wisdom and experience." Gain more insights by Robert De Filippis by tapping into his website, Facebook, and Twitter. From coaching individuals to teams, new hires to long-standing executive employees, professional coaches worldwide use personality assessments to significantly impact performance. Robust assessments like The Birkman Method highlight visible behavior as well as the underlying motivators and personality needs that make people tick. Harness Birkman across a variety of applications such as leadership development to team building to drive effective communication, meaningful collaboration, and business success. Watch this video to learn how one coach used Birkman to disarm conflict between two executives at a large oil and gas company, transforming a contentious relationship into a powerful alliance.